Welcome to Kids Learn Magic! On this site you’ll learn some AMAZING magic that will fool your friends and family. 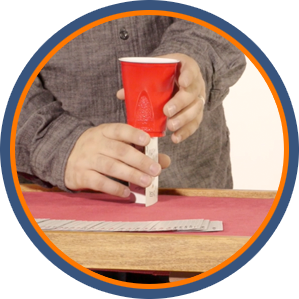 All of the tricks that you learn will be CLOSE UP magic—which is magic you can perform anytime, anywhere. Best of all, everything you learn is easy to do. This course is geared for kids ages 7 - 12. Watch this video to get a sneak peek of some of the incredible tricks you’ll learn to perform. Coins will disappear, your predictions will always be right, and you’ll learn some puzzling card tricks. As a bonus, you’ll also learn how you can make your brother appear on stage! Learning magic is a great way to teach your students how to get up in front of a crowd, and how to engage their peers. 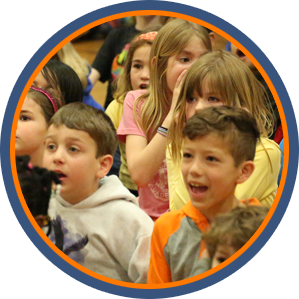 As a bonus, all of the profit from Kids Learn Magic goes to helping schools bring free educational assemblies to inspire their students at school. "I was absolutely amazed! My kids love these videos!" All material contained within this website © Copyright 2016 Kids Learn Magic / Brain Curry. Web deign by PostIdol Media Ltd. All Rights Reserved.